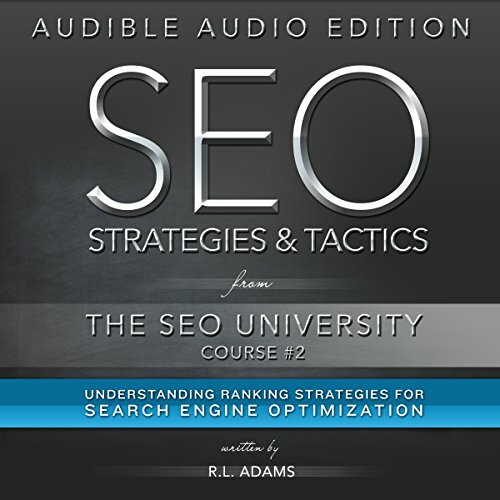 The second installment of the SEO University brings forth a guide on strategies and tactics that you can use today to rank with search engine optimization. This course moves beyond the fundamentals involved in the field of SEO and stretches into the advanced tactics that are being used to propel sites up Google's SERPs today. Why the SEO University? Developed by a leading author in the field of search engine optimization, SEO Strategies & Techniques is a Post-Panda, Post-Penguin, and Post-Hummingbird guide to ranking on Google's SERPs today. The information contained herein is invaluable to your career as a search engine marketer. Find out just what strategies and tactics are being employed by some of the most skilled SEMs in the field today. Another excellent book in this series, I recommend listening to the first book prior to this second one. It will help make more sense of things. So much information given, very pleased. These books have given me some amazing knowledge which I can't wait to use! there was some great info in this book but I felt it was needlessly repeated to make the book feel more in depth than it is.